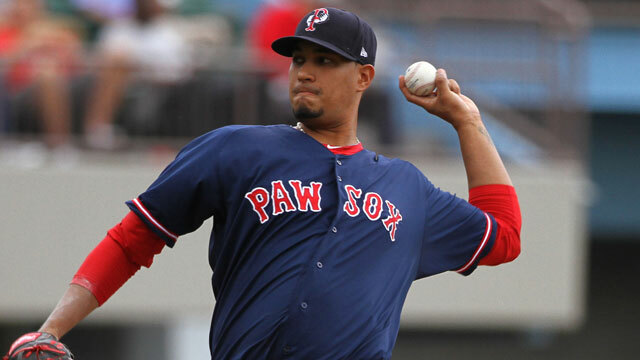 The Boston Red Sox today acquired minor league shortstop Marco Hernandez from the Chicago Cubs to complete the July 30 trade of left-handed pitcher Felix Doubront. Hernandez has been assigned to Double-A Portland. Hernandez, 22, spent the 2014 season with High-A Daytona in the Cubs' system, where he was named to the Florida State League Mid-Season All-Star Team. The left-handed batter led the team with seven triples and 22 stolen bases, hitting .270 (119-for-441) with 13 doubles, three home runs, 55 RBI in 122 games, all at shortstop. A native of the Dominican Republic, he batted at least .300 in April (.321), June (.303), and July (.318) of this past season. For his professional career, Hernandez has hit .273 (478-for-1,749) with 81 doubles, 23 triples, 17 home runs, and 202 RBI in 463 career games. Defensively, he has appeared primarily at shortstop over his minor league career (414 games), but has also played second base (27 games), and third base (five games). He was originally signed by the Cubs as an international free agent on July 17, 2009.